n. A steep headland, promontory, riverbank, or cliff. When doing internet research for places to fish close to Toronto, you may read about a place called ‘The Bluffs’. The Bluffs is actually the short name used by locals when referring to The Scarborough Bluffs, located on the shores of Lake Ontario. The landscape was said to resemble the limestone cliffs of Britain’s first seaside resort town (Scarborough, North Yorkshire) and consequently inspired the name given to the city in 1796. Bluffer’s Park is located at the southern end of Brimley Road where it twists, turns and descends steeply to meet Lake Ontario (drive with caution). The park first opened in 1975 to answer residents’ call for more public open spaces and improved access to the lake. Among other things, the park offers scenic lookout points, a supervised beach (July and August only), public restrooms, and a public boat launch facility for recreational boaters and sailors. Families, young couples and outdoor enthusiasts flock to the park on summer afternoons to escape the hustle and bustle of Scarborough’s city streets. Paid parking is usually enforced from June to September so walk with some extra coins or a credit card to avoid being ticketed. Fall: The marina receives most of its fishing pressure from September to November when trout and salmon come into the marina for a short stay before making their way to nearby rivers to begin spawning. Anglers use many techniques but float fishing roe bags and pitching spoons like Wilson Wobblers are most commonly used. I have had a lot of success using inline spinners like the Vibrax Blue Fox (#3 or #4) and the Mepps Aguila. Winter: The water in the marina freezes over so shore fishing is just about impossible unless we experience an unusually warm winter that extends the fishing season. Spring: Right after the ice thaws in the spring many massive Northern Pike make their way into the marina to spawn and feed. If you already fish for pike you know that they eat just about anything in sight and are less picky eaters than other species of fish. They also tend to feed during sunny periods when bass and other fish run for cover under the shade of heavily weeded areas. Your chance of catching bigger pike is best in the spring before they return into the deeper waters when temperatures rise. They will hit your lure quite close to the shoreline where they troll up and down scooping up smaller less fortunate fish. Summer: In July and August smallmouth and largemouth bass make their way into the marina. Remember these are Lake Ontario bass so there is always a chance to catch your personal record when you least expect it. The bass tend to be more finicky and will often chase your lure to shore without taking it. Don’t lose hope. As an angler it is your job to figure out what they are really feeding on. 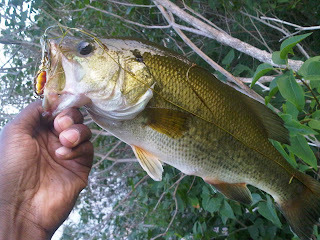 Are there places to fish or can u fish by the marina? This article will help you make the most out of your fishing trip by using these proven strategies. I personally have used them and so have many other fisher man and have achieved great success.